Over the last decade, India’s startup community has seen its startups flourish and blossom — Paytm has turned from being a tiny mobile recharge to a $10 billion colossus, and Flipkart’s gone from selling books to a $16 billion acquisition by Walmart. 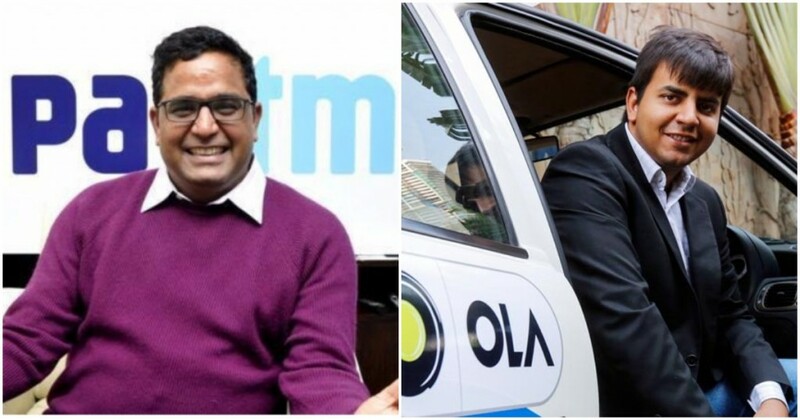 These successes have made the founders of these startups very rich — the founders of Paytm and Flipkart are billionaires, and even the founders of less prominent startups have made some serious money. But apart from the founders, the early investors of these startups have become very rich as well. An early Flipkart investor turned a Rs. 10 lakh investment into Rs. 130 crore, and Paytm’s early investors, which included Anil Ambani’s Reliance Capital, managed returns of over 2000%. However, startup investing isn’t for everyone — traditionally you need large amounts of capital, access to startup founders, and plenty of time for due diligence before you can invest in a startup. A company, though, is trying to democratize startup investing by making it accessible to the common public. Minance, a Bangalore-based private wealth management firm, is letting investors invest in startups which haven’t yet gone public. Minance was founded in 2014 by Anurag Bhatia, a former Amazon employee and offers a range of investment services for its partners including shares of private firms and has an AUM (Assets Under Management) of over 300 crores. The list of companies for which it can provide shares is impressive — Minance allows people to buy stocks in tech startups like Paytm, Ola and gaming company Nazara, banking firms like FinoPayTech, as well as shares in consumer brands like Kurl-on and Studd Helmets. Users can buy shares in these companies, much like they’d buy stocks in the share market, and then sell them if their values appreciate. Minance acquires shares in these privately held companies through a variety of methods — it buys them from company employees who receive the stock as a part of their compensation, and also buys them from company owners and other investors. It then sells these shares to anyone who wishes to buy them. A share in Ola, for instance, costs Rs. 24,500, and a share in Paytm costs 18,500, while shares of FinoPayTech come to around Rs. 140 and Studd Helmet go for around Rs.1,100 and they can be immediately transferred to an existing demat account (Minance can also help you open one if needed). There are some riders though — the minimum investment in these shares is usually around Rs. 50,000, and SEBI regulations mandate that these stocks can’t be sold on public markets within a year of the company’s IPO. But there are plenty of upsides to buying a stock in an unlisted company as well. For starters, they can allow people to participate in upsides of a company whose products they use and whose business they understand. Unlike most traditional IPO companies, which deal in obscure businesses like sugar refining or ball-bearing manufacturing, most people use companies like Paytm and Ola regularly, and can more easily form investment theses based off what they see. Also, India’s IPO market has been red-hot over the last few years — companies like Dmart have jumped manifold in value since their IPOs. By getting in on companies pre-IPO can help capture even bigger upside, and unlike with IPO, provide unlimited stock allocations. Even from a portfolio point of view, unlisted stocks can help add some additional diversification — prices of unlisted stocks don’t move in tandem with stock markets, and can thus provide relative stability in times when stock markets are falling. The upside, though, could be much greater than for traditional stocks — Paytm’s valuation, for instance, has risen 10x over a few years, and there are few listed stocks that can boast of similar returns. Most importantly, investments in startup stocks can help India’s startup community invest in companies that they know and understand. Investing in most listed companies requires reading financial statements, poring over balance sheets, and studying macro trends. India’s startup community is pretty close-knit, and many of its participants have an idea of how the major companies are doing. By buying stocks in the companies whose valuations they expect to rise, they can themselves participate on the upside.